So I had this fun episode where I was using Qemu to emulate an ASA, and it worked OK but it was incredibly slow, and I couldn’t put in multiple gigabytes of RAM. So I thought I’d just dump Qemu and load it up on VMWare. Well simple ethernet connections work just fine, but the dot1q interface (as this setup has about 50 different connections) doesn’t work at all. As I have attached previously there are 802.1q packets leaving the GNS emulated 7200 router but they are not being interpreted by the HOST-ONLY Adapter that is installed with workstation 11 nor does the HOST-ONLY adapter then TAG the l2 frames with the 802.1q ID. So the host only adapters that I’m creating to give VMWare interfaces that GNS3 can latch onto, strip dot1q!  Well this is no good! So I thought I’d try the older standby solution, which is the MS Loopback adapter, and try it that way. 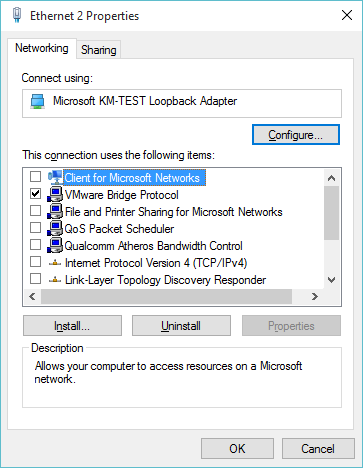 Adding the adapter wasn’t too hard in 10, but they renamed it to the KM-TEST Loopback Adapter for some reason. Anyways with the adapter installed, I removed all the bindings other than the VMware Bridge Protocol. 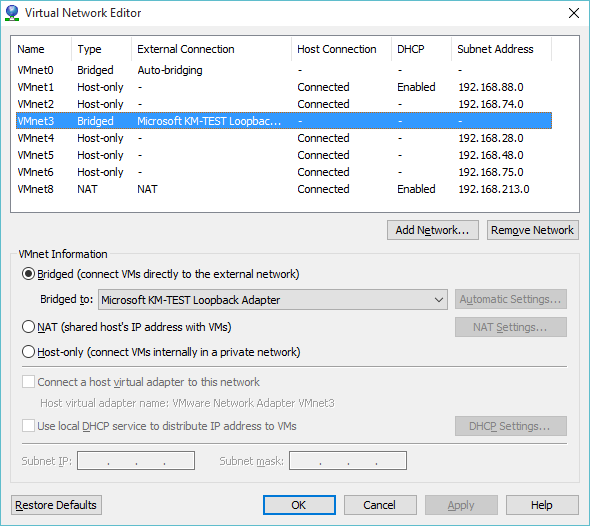 With that done, the next thing to do was run vmnetcfg, and bind the tunnel interface to a VMnet interface but not in the Host-only connection but bridged directly to the loopback adapter. 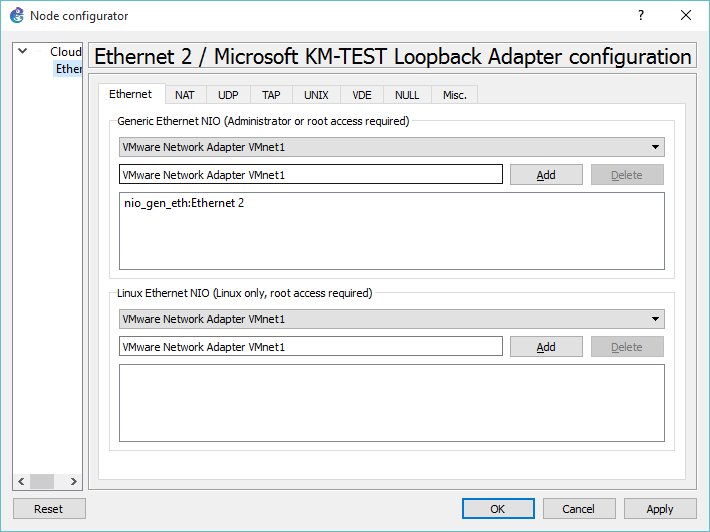 Now with the VMware part configured, it’s a matter of configuring a Cloud object in GNS3, and binding it to the loopback adapter, which in my case has the great name of ‘Ethernet 2’. From there I just attach the cloud to a dot1q ‘trunk’ interface on a GNS3 virtual ethernet switch. With this proverbial house of cards built up, I can fire-up another VMware machine, in this case a Windows 2000 computer that is bound to a ‘normal’ VMnet adapter, with no fancy dot1a and.. I can get IE6 and all it’s glory on the internet. VMWare Player version 12 is released!